An attacker needs to know URL of an administration panel to enter into it the acquired credentials. 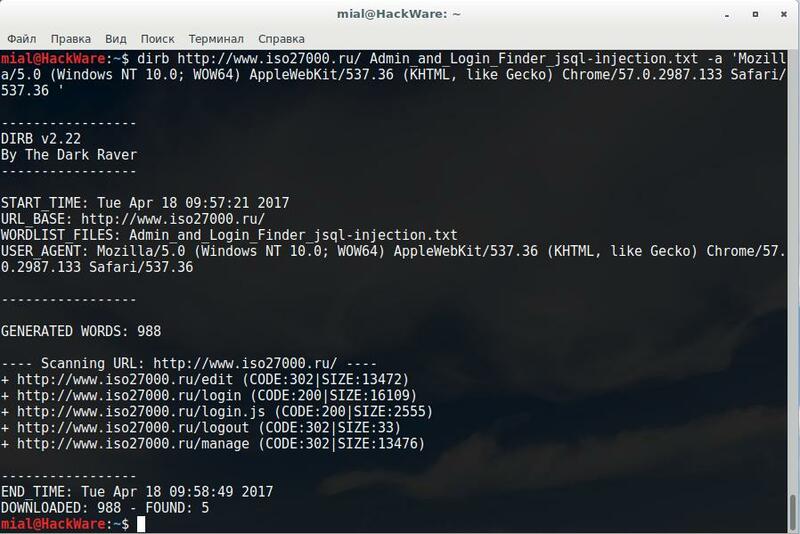 It is also noticed that some programmers pay less attention to the ‘internal’ pages of websites that are not intended for a wide range of visitors, for example, a SQL injection vulnerability can be found there. Searching for admin dashboards is a simple task, you can do this by entering various prospective paths into the browser's address bar. There are quite a lot of various utilities that allow to automate and speed up this process. Let’s get acquainted with programs to designed to find login pages. The program includes fairly large list of page addresses where admin pages usually located. You can edit this list: add new values ​​or download them. To start the process, enter the address of a site, select the desired or all values ​​in the list and click the ‘Find admin page(s)’ button. In general, the program works not so well, because it does not allow changing the setting of the User-Agent. Because of this, many web servers discard its connection attempts. DIRB is a web content scanner. It looks for existing (possibly, hidden) web objects. At the heart of its work is a dictionary search, he forms queries to the web server and analyzes the response. As a dictionary, you can use this one. This is a dictionary of possible addresses of admin pages. 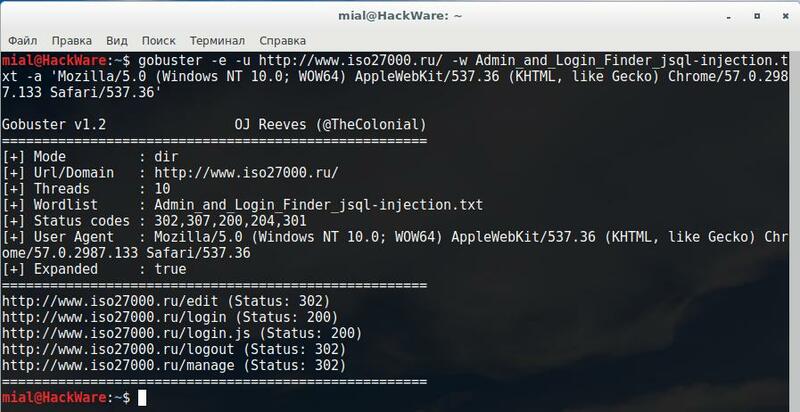 It is built from several sources: a list from jSQL Injection, as well as from DW Admin and Login Finder v1.1. It is recommended to use the -a <user-agent> option, you can use it to specify your custom USER_AGENT. URIs (directories and files) on websites. We are interested in brute force (brute force) of directories and files. 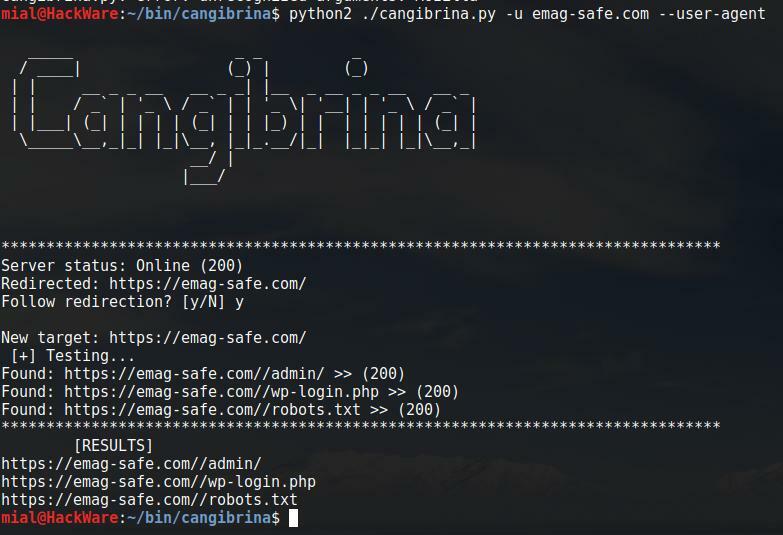 Cangibrina is a multi-platform tool that is designed to obtain control (admin) panels of sites using dictionary attack, google, nmap and robots.txt. The program has a built-in option for working through Tor. It is also important that with the --user-agent option you can change the user agent (the name that the scan program uses to introduce itself to a website). The programs discussed in this note may have problems with scanning if the site is located behind the file manager. Pretend to be another program, usually a browser, is a very useful feature. In addition, the program can search admin pages among subdomains. To use the feature, consider the --sub-domain option. adfind is a fairly simple search engine for administration panels. When you run the program, you need to specify the site address and the intended language of the source code of the site (PHP, ASP, etc.). 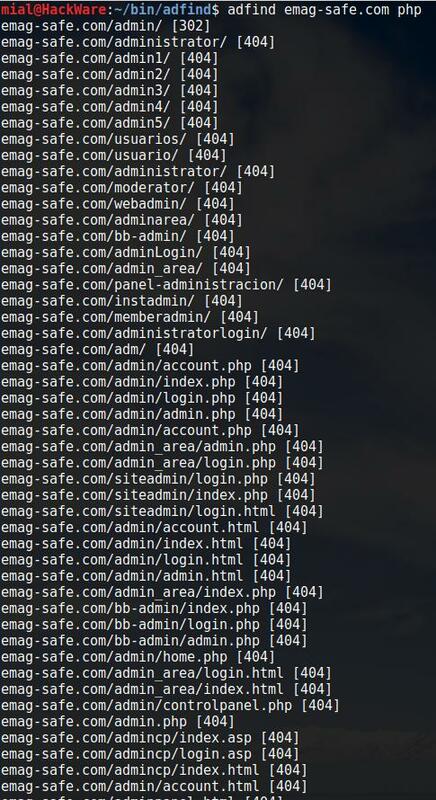 Admin Page Finder is python script looks for a large amount of possible administrative interfaces on a given site. Like the previous one, this is a very simple utility without additional features. patator is the most flexible, and therefore the most complex of the programs in question. header='User-Agent: Mozilla/5.0 (Windows NT 10.0; WOW64) AppleWebKit/537.36 (KHTML, like Gecko) Chrome/57.0.2987.133 Safari/537.36' means to send a header with the user agent. Be sure to use this feature, otherwise on most sites you will fail in scanning for the presence of admin pages. Considering the simplicity of the task, it is easy to sketch out a script for this purpose. # below is the name of the dictionary file, which should be in the same folder as this script. # You can replace it with your dictionary. echo "Searching admin pages for the web-site $1. The site must be specified with a protocol (HTTP or HTTPS) and without a final slash, for example, https://example.com)." Where instead of the URL a site should be specified with a protocol (HTTP or HTTPS) and without a final slash, for example, https://example.com). " In preparing the guide, I tested all programs with arbitrary websites. All programs can be divided into those that allow you to set custom User-Agent and those that do not allow it. I noticed that all those who do not allow changing the User-Agent, have problems with most of the tried websites. Apparently, it is about file firewalls, various intrusion prevention systems, and so on. A slightly better result was shown by the Cangibrina program with the option --user-agent. After this option, you can not specify the desired value, it only changes the transmitted user agent to "chrome" - this allows you to trick quite simple file firewalls. The programs DIRB, gobuster and patator proved to be the best. In this case, you need to set custom credible User-Agent. 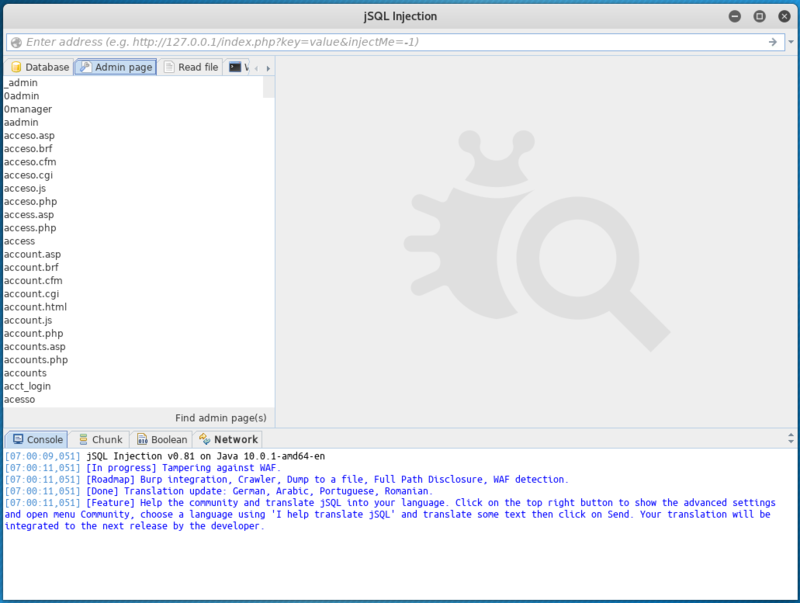 In addition to the described tools, almost every program for analyzing web applications and a complex scanner (for example, Burp Suite, zaproxy and many others) allow you to search pages by dictionary. You can also use a full search (for example, using DirBuster) - the results will be more complete, but the process can take significantly longer.